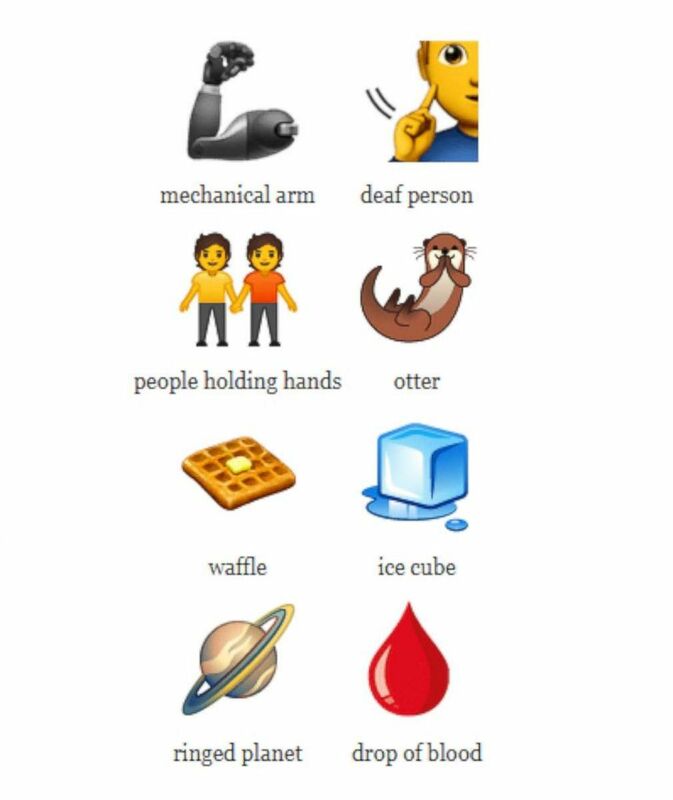 The new characters include wheelchairs, hearing aids and more. ?Unicode Emoji 12.0 — Final for 2019? (Unicode) New emojis from Unicode.